I take my business seriously, so numbers are everything when it comes to profit and loss and making my business more successful. We have a great bookkeeper who specializes in real estate, and we can refer them to you if you’d like. What they do is provide me with a document listing all of our expenses by category so I can see what we are spending money on. My goal when I do this is to find ways to save money by reducing, eliminating, or re-negotiating costs. 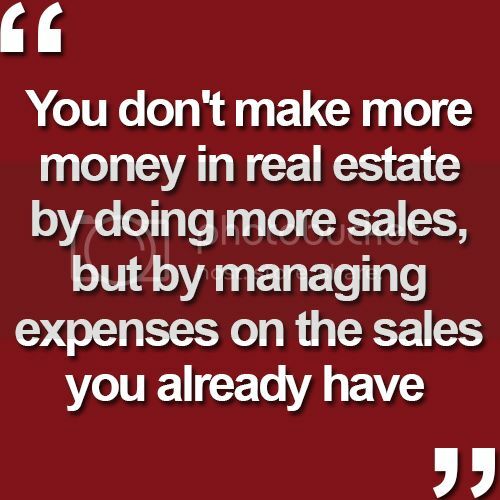 You don’t make more money in real estate by doing more sales, but by managing expenses on the sales you already have. If you don’t have a profit and loss that you go over once a month, make sure you add that to your return. If you have any questions for us, or would like to further discuss how to eliminate costs in your business, give me a call. I’d be glad to talk with you about your business.